Daily Mail has photos and an article about David's hair extensions. The article actual quotes one of our tweets (which we posted as we were recieving so many questions about his hair)! 'However the Twitter user @David_Tennant, which provides up-to-date news on the star, was quick to dispel people's questions over the new hair. 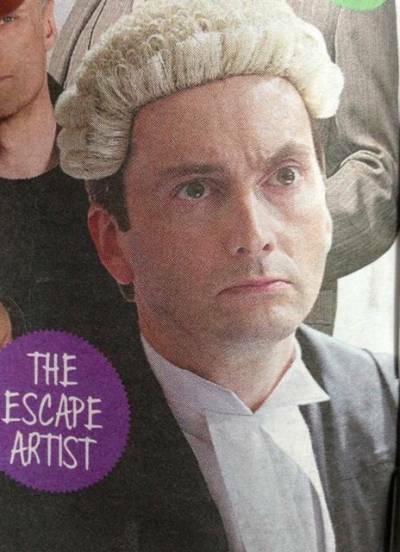 Daily Record has a large photo of David Tennant signing autographs last night. Broadchurch won the Best New Drama Award at the TV Choice Awards tonight! The Media Eye today tweeted that David Tennant is confirmed to attend the TVChoice Awards on Monday at the Dorchester Hotel in London. The Escape Artist is included in a Daily Mail article on 'bumper' autumn TV releases. ShotsMag reports that David Tennant has been nominated for the Best Actor Dagger in the Specsavers Crime Thriller Awards. Broadchurch has been nominated for the TV Dagger Award, Andrew Buchan for Best Supporting Actor Dagger, Pauline Quirke for Best Supporting Actress Dagger and Olivia Colman for Best Actress Dagger. 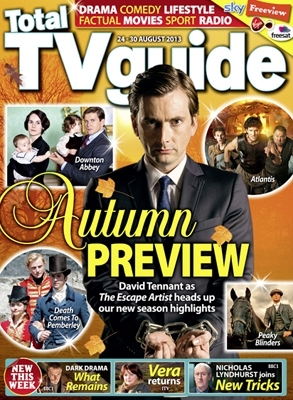 As well as the blurb inside, there is a small photo of David Tennant on the front of Radio Times this week. Entertainment Weekly has an interview with Chris Chibnall and David Tennant about Broadchurch. 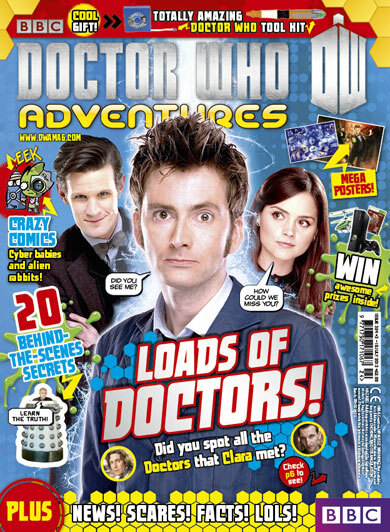 Daily Mail reports that David Tennant has had the third most Radio Times covers ever in its 90 year history with 19 (12 of those were for Doctor Who)! Deadline.com report that the US station Fox will make an American remake of Broadchuch. It will start filming in January but won’t air until the 2014-15 TV season. Sydney Daily Herald has an article with the great headline 'when Broadchurch beat Elementary' about the Australian ratings for the week ending 20th July. The Mirror CLAIMS that David Tennant is on the show’s creator Brian Clemens wish list of actors to play Doyle in a movie version of The Professionals. The New York Times has a new interview with David Tennant to promote Broadchurch. Olivia Colman describes David Tennant as 'An angel and absolute sweetheart' in an interview in The Guardian. Digital Spy reports that David Tennant has been voted into the TV Choice Awards shortlist for Best Actor. Also Broadchurch is in the Best New Drama category and Olivia Colman (for Broadchurch) is in the Best Actress finals. The long list was open for the public to vote and now the top four for each award are in the short list. Voting will start later today and continue until Friday 12th July.